The second round of the Government’s £1.4 billion Regional Growth Fund (RGF) was announced today and included confirmation that VisitEngland's bid was successful. 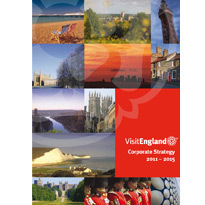 VisitEngland has been working to secure funding from the Regional Growth Fund on behalf of destinations throughout the country. Their bid was for £20m to fund a three year project called Growing Tourism Locally. A key part of the project will be a national marketing campaign aimed at inspiring Britons to take more short breaks and holidays at home and in doing so grow jobs in the tourism sector. “We are delighted to be a key destination partner for this project, which will provide an important lift for the tourism sector in this country. Through our marketing strategy, Visit Birmingham, the ‘Growing Tourism Locally’ campaign will help us to position the city and surrounding area as a key destination for visitors looking to holiday in England. In addition to targeted activity in these areas there will be a series of thematic campaigns focusing on countryside, heritage, coastal and business tourism.